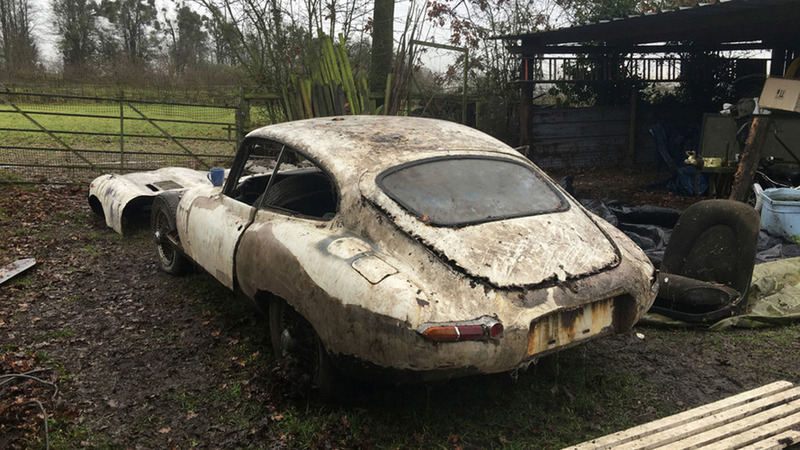 Though it may not look like much at first glance, this worn-out Jaguar is heading to auction next month where it could go for as much as £44,000 ($54,000). Why? Because it’s a rare 1962 E-Type Series 1 Fixed Coupe, and it’s been sitting in a garage, virtually untouched for nearly 20 years. As part of the Classic Car Auctions (CCA) Birmingham sale in April, the barn-find Jag will cross the auction block where estimates suggest it could go for anywhere between £38,000 to £44,000 ($46,648 to $54,000). It’s a rare right-hand drive, manual example, and has had just two registered owners since new. It was purchased in 1962 and registered in the U.K. Finished in a Dark Opalescent Blue with Black trim, it was owned and driven for nearly 35 years before being sold off. 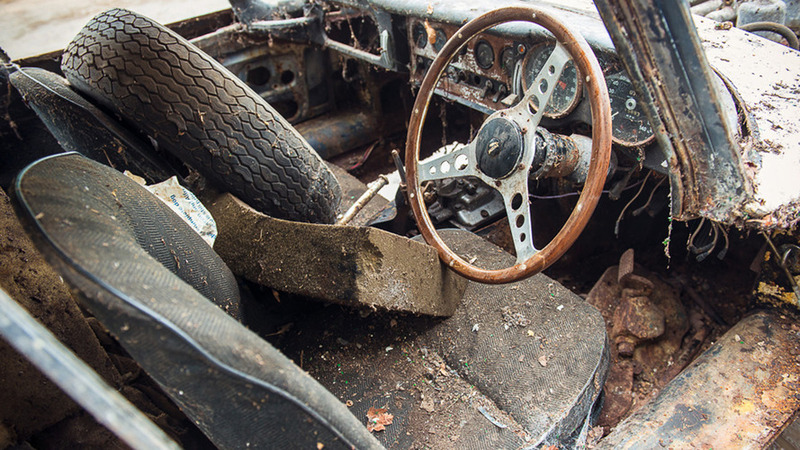 The car was purchased by its second owner in 1997 and was put into storage in preparation of a minor restoration. Unfortunately, that restoration was never realized.